This simple yet effective approach requires the user to authenticate himself using a login mechanism (usually a login form page or view) and that’s why it’s not really useful when you need to put togheter a RESTful interface and/or a WebService of any kind. The best way to deal with these things is to adopt one of the many authentication mechanisms supported by the HTTP protocol: Basic, Digest, NTLM just to mention some. The most used, yet also the easiest one to blend into a MVC pattern, it’s definitely the Basic Authentication. If it’s there, it checks the given username and password with those expected by the server application. If it’s not there, it builds a standard 401 Http Response to tell the client that we need some credentials to access that specific resource. This kind of response will make most web browsers prompt the user with an “insert username and password” standard popup form. The above implementation requires the developer to manually insert the username and password as ActionFilter required parameters but can be easily extended to make it support any authorization mechanism (MembershipProvider, ASP.NET Identity, custom userbase on an external DBMS or file, etc.) by removing the custom constructor and modifying the OnActionExecuting method IF block accordingly. 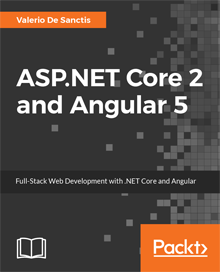 Pingback: Ready-Made ASP.NET 5 MVC 6 Web API Template – Grab It Now! Thank you very much for your hint, the procedure described was really-really usefull! get vulnerable to malicious activity. get called and run in the background. set in my BasicAuthenticationAttribute class. to throw an Excepction in case of wrong credentials were given. For what it’s worth, there is a majority security flaw with this code. smtpccnt described the symptoms, but didn’t quite explain why it was happening. The problem is that calling res.End() doesn’t actually stop the controller action from being invoked on the server side. You need to set filterContext.Result to an ActionResult type, or execution will continue past the action filter. For some use cases, this problem is invisible. If you are just trying to prevent a user from seeing a page, then your solution technically works. However, I was trying to protect a web service endpoint that received data. In my case, the data was still pushed through the action method even though the filter was returning a 401 not authorized response. The solution, as given, offered no protection. Thanks a lot for this: I updated the post accordingly and mentioned you in an appropriate comment line. You’re very welcome. Thank you for writing this filter..it works great now! Very nice thanks it works wonderfully! Is there a way to allow the user to “logout” and close the current session?